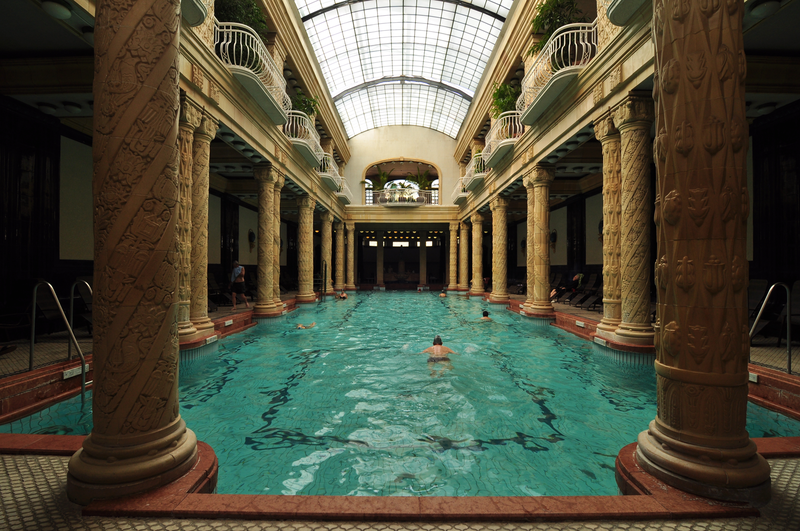 Budapest is famous for its thermal spas so we can easily point out: this is a GEOMANIFESTATION. And indeed it is. “Behind” the city there are mainly carbonate and dolomite mountains (the main aquifer is Upper Triassic) with a huge karstic water system. And at some end points of this flowing system in Budapest we can find springs, baths and spas, both indoor and outdoor ones. 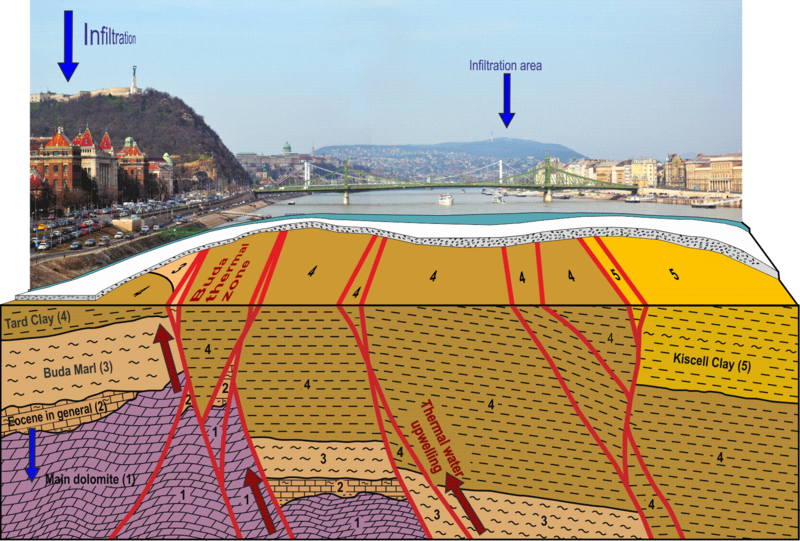 Most of the thermal springs ascend along the Danube, which approximately follows here the Buda thermal tectonic zone, an anastomosing fault system dropping the karstic rocks cca. one thousand metres downward under the Pest side. This Buda zone serves as the structural framework for this geomanifestation system consisting of springs, caves, mineralisations, baths. These springs are historically well-known. Even the legendary Romans used the natural hot water sources over 2000 years ago. 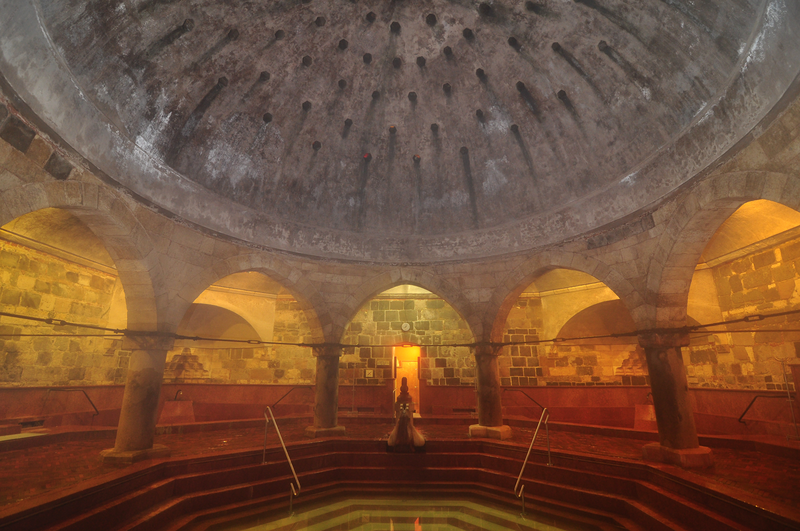 Many of the baths open today were established by the Turks in the Middle Ages. Does karst water have a medicinal effect? Where does it come from? The slowly moving karst water – from the infiltration to the erosion base – dissolve a certain amount of cations and anions (Na+, K+, SO42-, Cl-, F-, Ra-Rn) and the curative effects of the water are due to its ions. To keep these components in solution surplus CO2 is needed. Of course modern days need modern solutions: most of the springs were captured by 10-100 m deep wells to preserve quality and/or to reach a higher temperature. Another interesting phenomenon: the emerging karst water mixes with cold, descending karst water where mixing corrosion causes the formation of holes and cave systems.